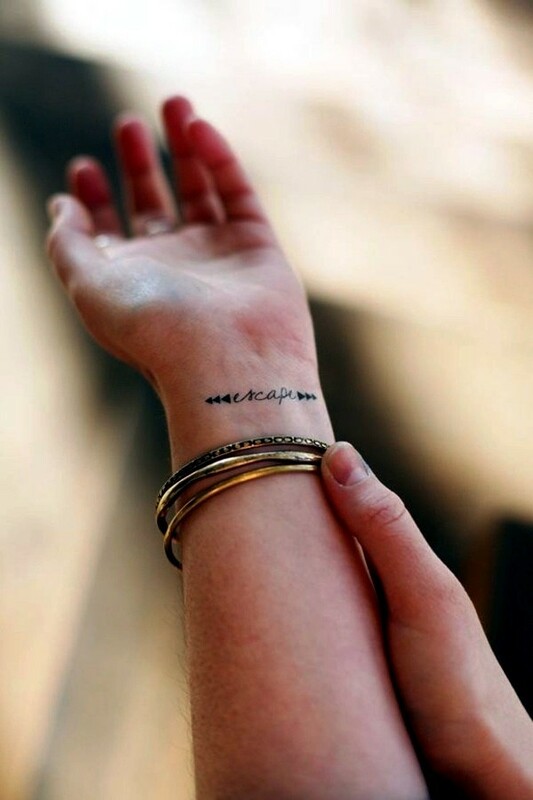 A wrist tattoo is perfectly elegant – it can be a great way to make a glamorous statement, or a low-key sentiment that you want hidden on your wrist, only to be revealed at your discretion. Some of these ideas are inspiring and nostalgic, while some are just plain pretty. You’ll never have to wear a bracelet again with these flawless designs. 1. 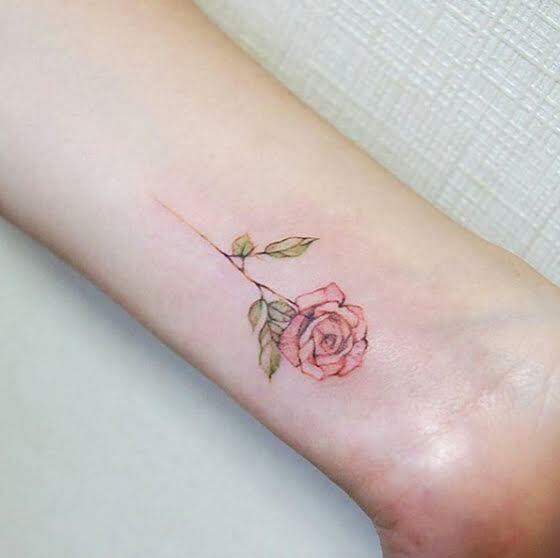 Flower tattoos can sometimes be a little corny – but not this one! This pastel rose is so lovely and subtle, and will look perfect in a little crochet summer dress, next to the bearded man of your dreams. 2. 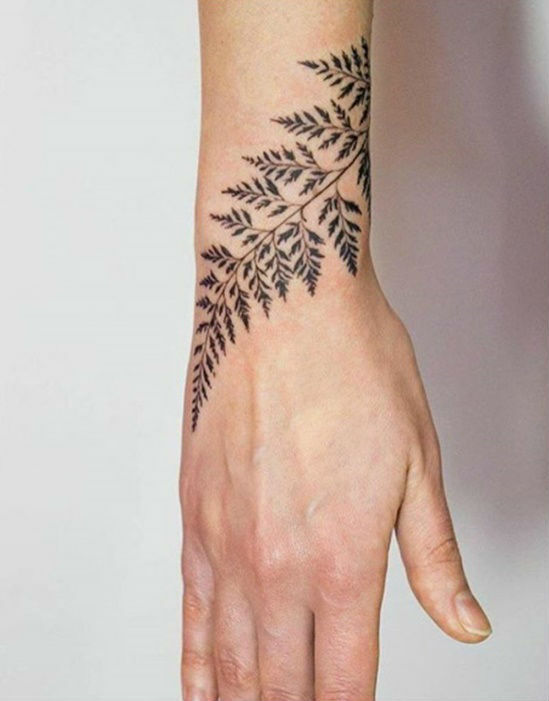 For all those nature lovers out there, this detailed fern tattoo has lovely lines and curves, and will look great on any outdoor-loving cutie. 3. 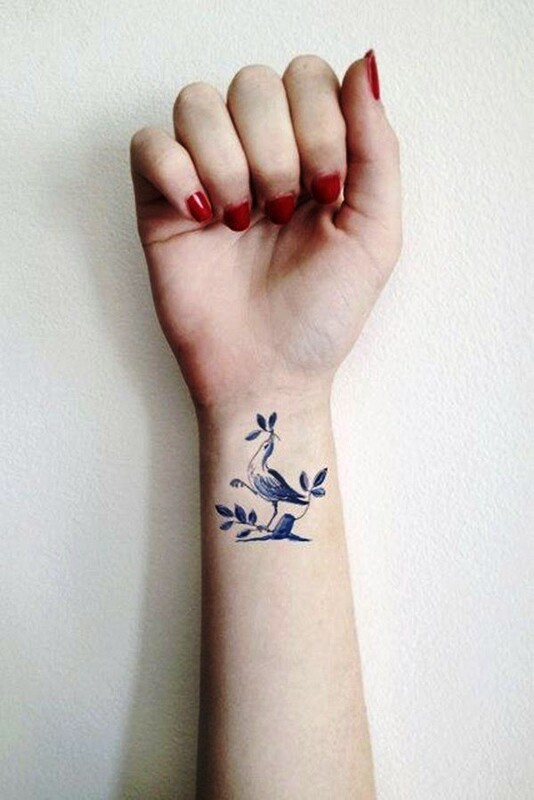 This design looks as though it belongs on a delicate piece of antique porcelain – the elegant bird and the shade of blue are a marriage made in heaven, as should be this tattoo and your wrist. 4. 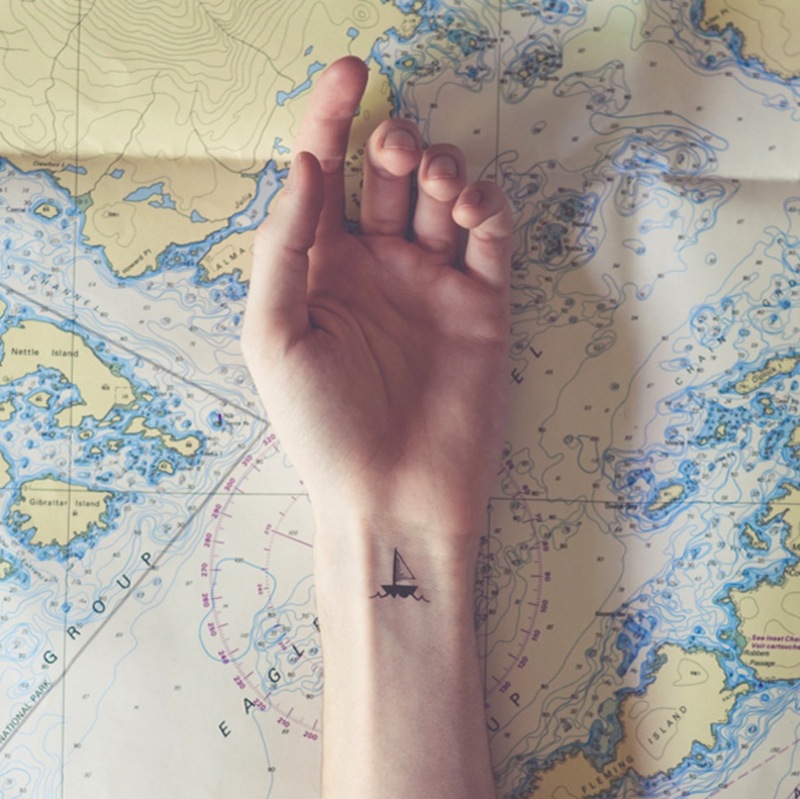 Anyone with a case of wanderlust, this tattoo is simply amazing. 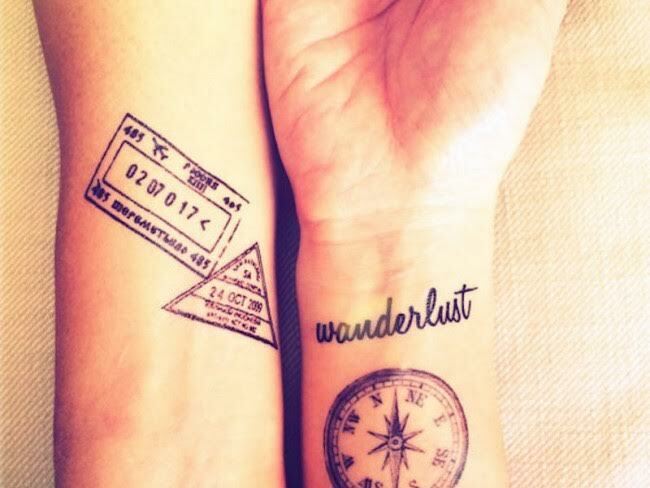 The compass, wanderlust, and faux ticket stamp will make you want to take out that passport again and hop on the next plane ASAP. 5. With or without the floral arrangement, this tat is a wonderful reminder to live life in the moment, as it translates to “joy of life”, And the lovely, colored bouquet that follows below is too pretty to resist. 6. Remind yourself of your own strength, in a subtle way. 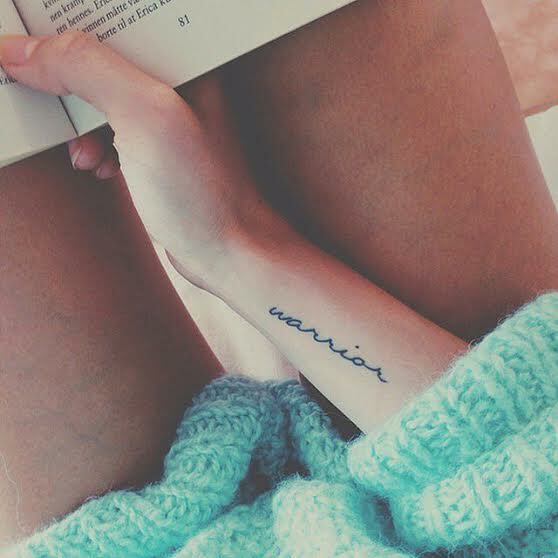 This cursive ‘warrior’ tattoo will remind you, on your lowest days, that you are enough of a strong badass to get through whatever hardships comes your way. 7. 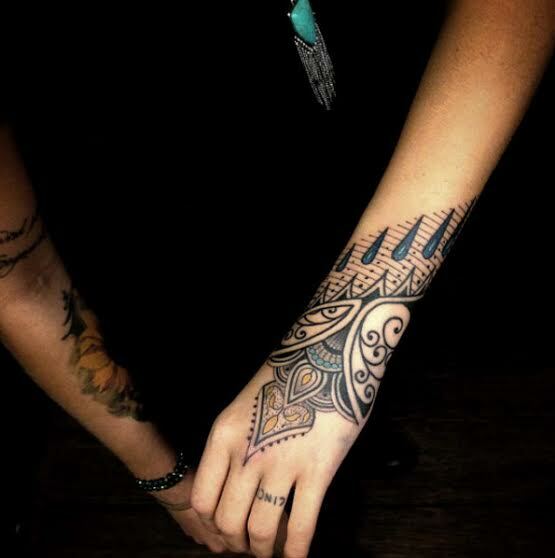 This ornamental tattoo reminds us of exotic Eastern dresses adorning princesses – instead of wearing a ton of chains and metal on your wrist, rock this stunningly colored and drawn asymmetrical wrist cuff. 8. 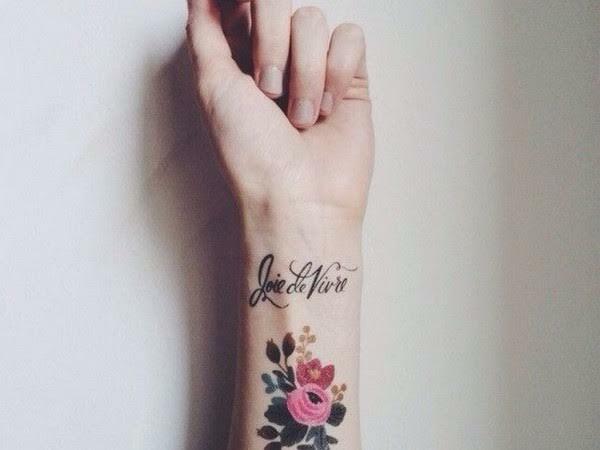 The perfect tattoo to stare at on Monday when you’re ready to be done with it all. Remind yourself to be a daydreamer and escape from the dreary routine of life once in a while. 9. 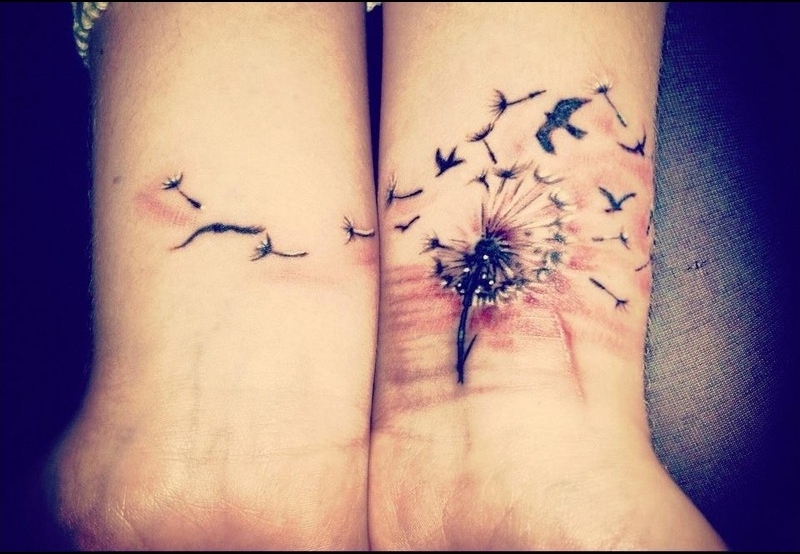 This delicate dandelion has some breathtaking shading, and spans across two wrists, with a stray bird caught in the crossfire. Carefree and simple, yet so beautiful. 11. We are not so different from trees – if we nurture and water our souls, our roots will grow and evolve into something magnificent. 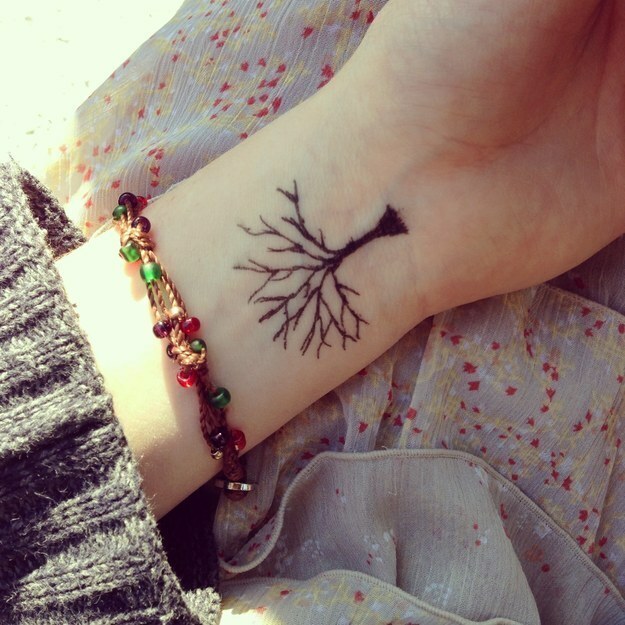 Remind yourself of that with this branch-filled tree tattoo. Spread your branches and grow! 12. You’ll never be alone with these two sweet sparrows flirting on your wrist at all times. 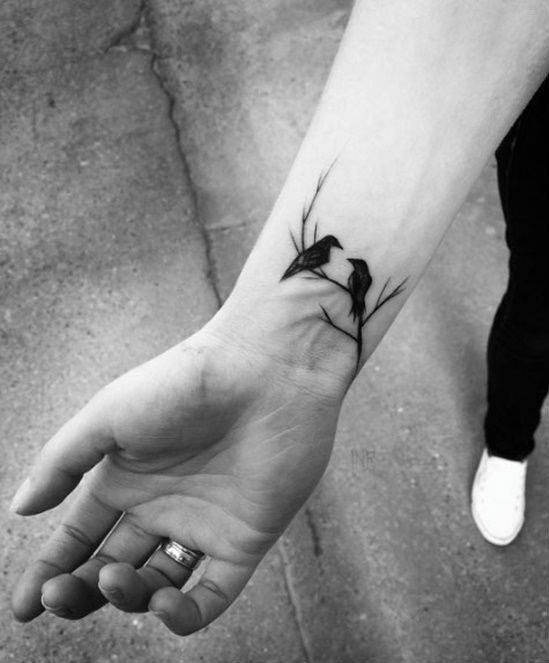 It takes the conventional bird tattoo and makes it cute in a unique and poetic way. 13. This rugged mountain range has depth and shading that makes us swoon. If you find yourself daydreaming about wandering mountains, this will motivate you to make it a reality. 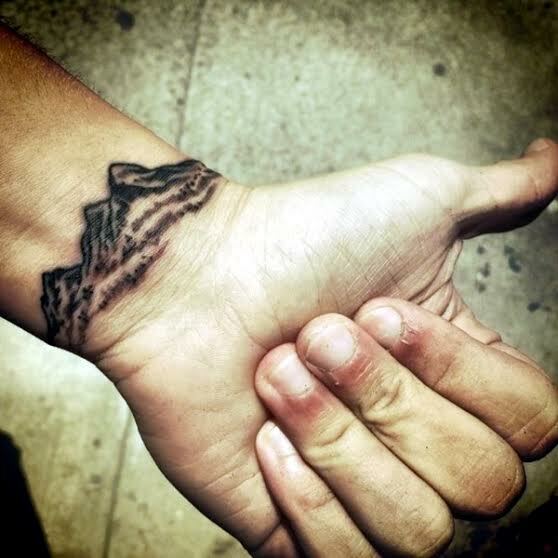 Or to climb your own mountains in life, whatever they may be. 14. The old saying ‘diamonds are forever’ will never ring more true than if you get this gem adorned on your wrist. 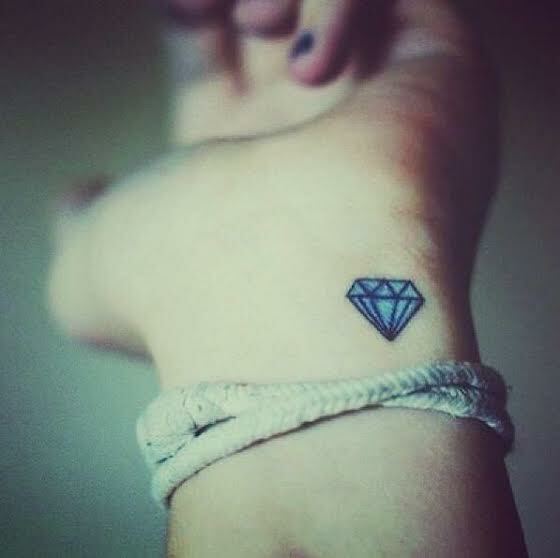 If diamonds are your best friend, this is the wrist ink you need to get.